The patient who wants to undergo microsurgery for hair transplantation, depending on the depth of the area where you need to operate and the number of the hair in the area from where the micrografts will be picked up, he will have a visible outcome soon after the transplant. The surgery takes place in a clinc and the patient is undergone local anesthesia, after which no type of bandage is applied and after a few days the patient can return to his normal activities. Two days after the surgery you can proceed with hair washing, while after 10 days you must return to the doctor to remove the stitches of the donor area. After three months starts the process of transplanted hair regrowth and within 6 months the hair will have grown of few centimeters. This type of operation allows the majority of patients to obtain satisfying results in the comparing before and after transplant. The techniques for hair transplant has seen a powerful improvement over the last 10 years. Thanks to the most innovative techniques of microsurgery, after the transplant, the hair starts to grow again in the affected areas. The micro transplant consists in transfer micrografts of leather from the donor area to the bald one, where will be create a normal cycle growth-fall-regrowth of the hair. Among the new techniques of hair transplant, the microsurgery for transplantat is a suitable solution for all forms of alopecia that resist any medical treatment. Any patient who has good health conditions could undergo surgery, but during the preparation for this operation the patient must carried out blood tests and an electrocardiogram. 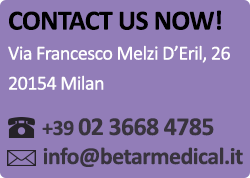 If you are finding for best hair transplant in Italy, call the centre Betarmedical. During each session, it is possible to transplant up to a maximum of hair 4000/5000, which depends on the conditions of the area from which they are removed. The number of transplantable hair limitation is due to the risk of a partial taking root, so, for a better result, you need to undergo several sessions of transplant. However, we have to consider that generally the common baldness is progressive, and future transplants could be impeded by a poor donor area of transplantable hair. Therefore it is important to preserve the area for future transplants. Once you have done the transplant, already after 48 hours, you can wash your hair with the products indicated by the surgeon for the post-operative period. The washing should be done every day for the whole following month after the operation, because the sebaceous secretions are more intense in this stage. More specifically, transplanted hair behave like: the outside part of the hair falls after 15-20 days after the microfollicular. The hair in the affected area, begin to grow back after about three months, but the actual result of the operation will be seen after about 6 months. In some and rare cases a regrowth is occured also after 10-12 months. The first time I had heard about aesthetic medicine was in 2004. The way a dietician is fully trained in nutrition, and a cardiologist is an expert with the heart, and so on, I was unclear about exact role of medical aesthetic surgeon. To me, the role of such a doctor seemed to require a lot of different skills, and this instantly attracted my attention to the field. Over time, I had come to learn that the role of an aesthetic doctor was very rich and complex. During the period I was in medical school, something had stuck to me, and that was hearing that the concept of health was changing. According to WHO, health is defined as is; “a state of complete physical, mental, and social well-being and not merely the absence of disease.” It appeared that in order to “feel good,” one was no longer confined to having diseases. Rather, it implies that a satisfactory social integration is necessary as not to create a conflict between the internal image of the “self” and the “being” that the outsiders see. In light of all these considerations, the role of an aesthetic doctor has become enriched with new meaning in my eyes. No longer had such a profession seemed a battle against fat deposits and aging, rather it had become a quest to help individuals seek wellness in their own essence and being. In my experience, over the course of twenty years, aesthetic medicine has expanded its target demographic. Previously, aesthetic procedures were mainly done on the likes of VIP’s and celebrities, a small minority of the population. Today, I can say that 90% go my patients are ordinary people, such as; workers, mothers, fathers, housewives, managers, and so on. The objective of procedures no longer seems to be the pursuit of youth, overdone in bad taste, but rather a means to express one’s own potential in order to feel good and to be at ease at social occasions. My prediction for the near future is that a cosmetic doctor will become a regular figure in the patient’s life, similar to the role played by a dentist, doctor or hairdresser. I believe that a solid and trustworthy relationship between the patient and aesthetic doctor will aid in gracefully dealing with the aging process. I hope that the negative associations and stereotypes linked to aesthetic medicine over the past years, that has focused on transforming bodies and faces, and making them unrecognizable and unnatural, will fade. My personal belief is that the core ethics of this profession is to respect and to take care of my patients, such in the way the “art of medicine” has taught me. Aesthetic medicine is a particular type of discipline; it does not necessarily save lives from imminent causes of death and the patients are in good health. Nonetheless, by performing at an optimum level of our practice, we are able to improve quality of our patient’s lives.